Our exceptional, friendly staff is our greatest asset. They are excited about what they do, and they care personally about getting the best results for our patients. Come by and see the difference for yourself. Make an appointment today! "I enjoy working here at Madison Eyes because everyone treats each other like they're family." 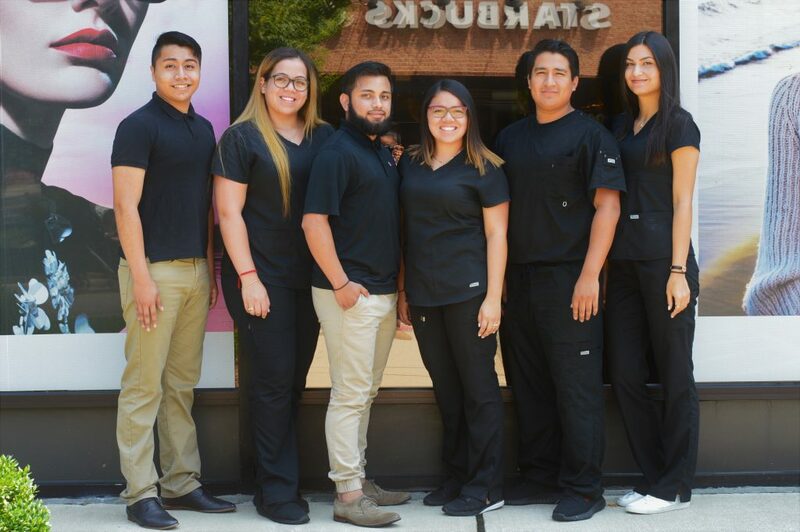 Our front desk staff consists of 8 administrative specialists that are here to help direct and assist you with various options of care. By selecting option 1 when calling the office, you can be guaranteed to be helped with insurance questions, scheduling/rescheduling appointment times, account receivable inquiries, contact lens orders, prescription requests and overall general practice information. Each specialist has their own designated email for a more personal interaction with you. They are the first face you see when entering the building and are readily available for any question regarding the practice. "I find it nice that I get to work with a great group of people and meet new patients everyday." Our Optical staff consists of 6 diverse and qualified opticians who will assist you in choosing the perfect pair of glasses. They will take the time to get to know you and understand your needs. With this information, they can then seek out the best frame options and choose the ideal lenses for you. They work very closely with both Eyemed and VSP insurances and can answer any questions you may have about your eyewear benefits. 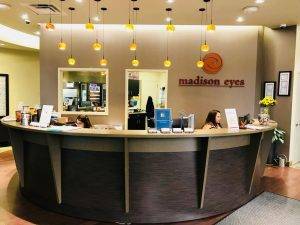 After your perfect pair of glasses are dispensed, they are there for you for any adjustments or repairs you may need throughout the life of your glasses. "I like the cooperation among the staff. We work together as a team." 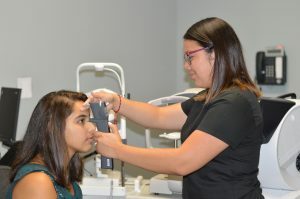 Our technicians help collect data by asking questions about your medical health and through a serious of eye tests prior to your exam with your doctor. They are here to answer any questions you may have throughout your exam and are happy to teach you the best way to care for your eyes, such as contact lens training.